With an increase in immigration, both legal and illegal, and a government that bases much of its “allure” on its opinions and actions regarding immigration, tension has grown on both sides. This coupled with people in need of a safer place, or country, to live has increased tension at our borders tenfold. This increased tension has affected where, how, how quickly, and what comes and goes through our borders. While both sides of the government have gone back and forth to improve and/or worsen these conditions, they can definitely have an impact on your business and the products you import and export. During crises like this one, paperwork and processes end up becoming much more difficult, more so than it already is. We can help you with all of the necessary paperwork and processes needed to get through customs. This will help the process be much smoother. Going through customs can be difficult in and of itself, but when you add high tension situations to the mix, it can be even more so. We can help you get through customs much more quickly so you don’t have to worry. Travel times have increased since tensions arose, meaning goods are being stuck in one place much longer than anyone can plan for. Luckily, we offer warehouse storage options for your products, so they can be protected as you wait to pass through. We offer temperature controlled and secure storage along with the option to supervise and manage your inventory online, ensuring everything is in place without having to manually check everything in the warehouse. This makes the process much easier. Contact Cordova Brokerage International Today! The tension at the border is a crisis right now. It may get better but it might also get worse. Why, of course, we want everyone to be helped and aided in the crisis happening, we can play our part by ensuring the supply chain is affected less by it than it could be. If you’re in need of help with importing and exporting products and goods for your business but are worried about what might happen when going through customs, we can help you. Give us a call today to learn more about the services we offer. Why Might I Need Warehouse Services? In a perfect world, we wouldn’t need warehouse services. But this is far from a perfect world, and the unexpected seems to always happen. And what kind of world would this be if we didn’t have any delays? We live in a delay-ridden world where the unexpected happens and we have to prepare for whatever that unexpected thing is, and usually, that means needing to get warehousing for the goods we are importing and exporting internationally. The last thing you want is to have nowhere to store them while going through customs, especially if this process takes longer than usual (and it already takes a while). Having a warehouse to store your goods where you know they’ll be safe from damage, theft, and spoiling is a good way to obtain peace of mind. Here are a few reasons why obtaining warehouse services from us here at Cordova Brokerage International, in addition to our many other imports and exports brokerage services, is a good idea. Relations and going through customs these days are always changing and quite unexpected. You never know when or why there might be a delay with trying to get through customs. The last thing you want is for your imports to be stolen, damaged, or go rotten while waiting for you to get through customs. Our warehouse services provide you with a reliable place to store your items just in case of unexpected customs delays. You never know when the weather might strike and leave you stranded while trying to make it through customs. Whether it’s a bad winter storm, dust storm, or thunderstorm, you want a place that’ll keep your valuables safe from the harmful effects of the weather. That’s exactly what you get with our comprehensive warehouse services. Life, especially if you work in the business of importing and exporting goods internationally, is unexpected. You always want to stay protected and prepared for whatever life hands you, especially in this kind of business. One way to do so is to work with a brokerage firm like us to help you get through customs more smoothly and to give you a safe place to store your goods. Call Cordova Brokerage International Today! If you’re in need of reliable and dependable international brokering services, Cordova Brokerage International is the place to call. Contact us today so we can help you! 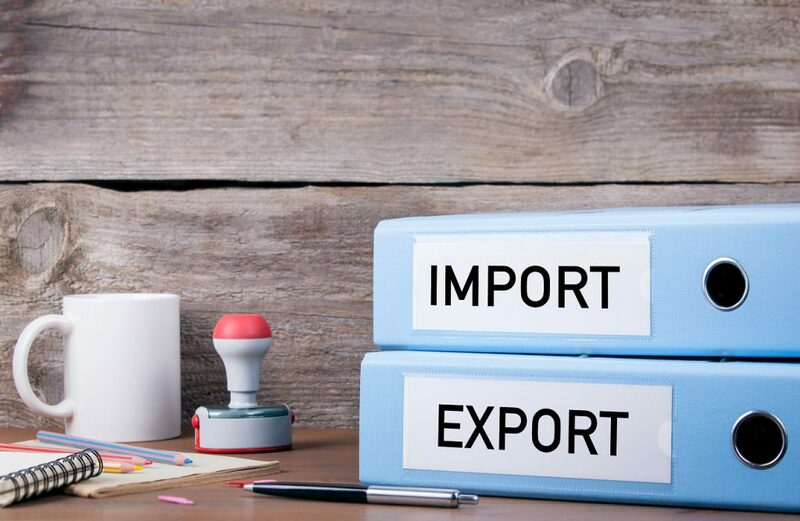 If you work in or own a business that deals with importing and exporting goods, you know just how tricky and stressful the job can often be, especially if you import and export goods from outside the country. With high tension between countries, dealing with customs while bringing in or taking out goods can be quite the nightmare. A customs broker can help you if you work in this kind of business. At Cordova Brokerage International, we’re dedicated to helping businesses master the importing and exporting game by serving as a customs broker for them. Working with government agencies can be a lengthy, stressful process when you don’t have someone on your behalf talking to them. Customs brokers with government agencies so you don’t have to worry. They will fill out paperwork, meet, discuss, and do what is needed to do with these agencies in order to get things rolling. Figuring out how much money is needed to cover tariffs and fees when importing and exporting can be difficult. A customs broker is trained to determine these numbers so you can prepare financially for the expenses you’ll need to cover when importing and exporting goods. You can focus on other aspects of your business while this aspect is taken care of for you. When it comes to running a business—no matter the kind of business you’re running—creating better market strategies is a must if you want your success to continue for years to come, and that’s just one of the many benefits of working with a customs broker. Customs brokers are trained to better understand the market, specifically the international market, and can help you create strategies based on what they have learned. Lastly, by working with a customs broker, you can bypass many of the licensing issues many businesses in this industry face. A customs broker must be licensed and ca, therefore,e help you with certain activities that require this kind of licensing. If you’re looking to work with a hardworking customs broker in order to help your business thrive, we can help. We have the licensing and expert knowledge of the international market needed to help you be successful. Give Cordova Brokerage International a call today to learn more! Thinking of Using Cross Docking Services But Aren’t Sure if You Need Them? Let Us Help You Decide. As a business who supplies products in different regions, it’s important to keep things moving. You know how critical it is to have your items be delivered on time. To help keep your supply chain in a healthy state, cross docking services can provide the peace of mind you need to feel better about your company’s ability to deliver. Cross docking allows companies to get their products from one place to the next using a large truck. The process generally involves one truck delivering the goods to a warehouse, where they are stored or delivered to their final destination. 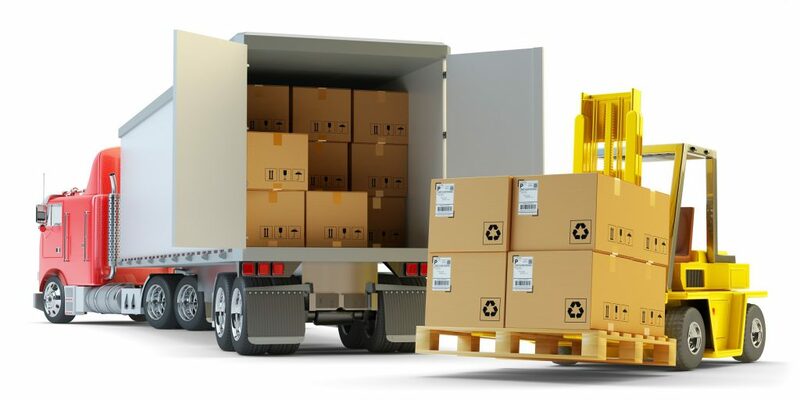 While there are different types of cross docking, the general concept is to get a large number of items to its final destination within a certain amount of time. Items will arrive on time. Getting items delivered on time is key. Cross docking service providers know the correct amount of time needed to ensure correct delivery. You don’t want your items to get there too late or too early. You’ll save time. If you’ve been scrambling to get things sorted out and have lost valuable time in the process, you can leave that in the past. When you hire a cross docking company, you’ll save a lot of time from not having to worry or plan out the delivery process. If items are temperature-sensitive, they’ll be protected. 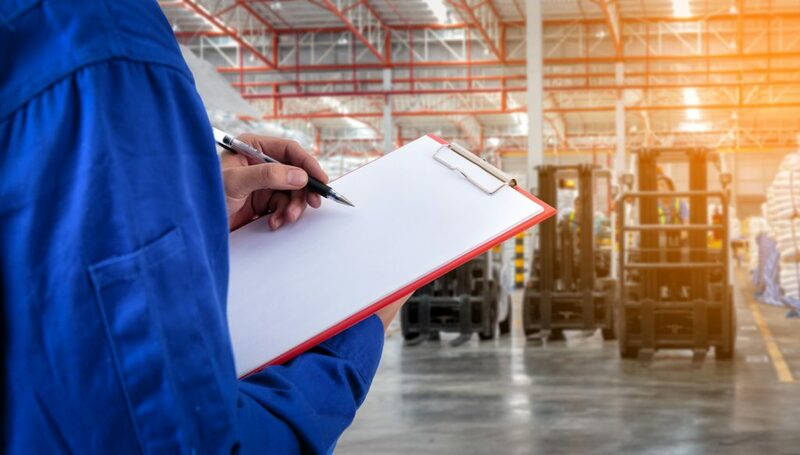 With cross-docking, you have the option of requesting climate-controlled warehousing space so that items that need to be stored at a certain temperature will be protected. No more overloading trucks. When it comes to heavy cargo, leave it up to a professional cross docking company to make sure the truck is loaded according to the industry standards. Here at Cordova Brokerage International, we’re committed to providing the best cross docking services for our customers in El Paso. If you have additional questions or would like to get started, please connect with us today! As we approach the end of 2018, it’s necessary to consider the aspects of your business that worked and which ones brought you no added benefits. For many business owners across El Paso, 2018 was a year of trial and error. Our city experienced new commercial development as well as some closures. There’s no doubt that some industries are struggling while others are fruitful and multiplying. If your business didn’t meet its annual financial goals, it’s time to consider which areas you can implement new practices in order to increase your profits and cut back on expenses. 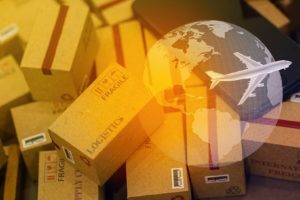 Whether you’ve already tapped into the global market or are considering venturing out, there are numerous benefits and disadvantages of international trade. A global logistics strategy can be extremely profitable. However, since every product exported and imported to and from the US must meet custom and tariff regulations, it can be overwhelming to follow this model. For this and other reasons, it’s necessary to use import and export services from an experience brokerage company. Not only will these services ensure you are in compliance with trading regulations, but they will also help strengthen your business and allow you to focus on other important areas. If there’s one thing that’s certain, it’s that global supply chain management can get complicated. Managing import and export logistics on your own can be time-consuming and difficult. There are major negative repercussions on the line, which will affect your overall business. Seeking professional assistance from a freight partner is the way to go. They will examine your current business model and provide you with viable solutions that will strengthen your supply chain and help your business grow. Teaming up with an import and export team can dramatically minimize the amount of time your goods are held at customs. The provider will make sure your goods meet the requirements in order to leave customs without a hitch. This includes complying with all regulatory associations such as the FDA, USDOT, TSA, and more. A custom brokerage company knows that delays are costly, which is why they make sure your products will be delivered on time and without any additional costs. With global government trade regulations always changing, as a business owner, it’s hard to keep up. You shouldn’t be spending your time combing through complex requirements. Instead, you should be able to reply and a customs brokerage company who follows regulatory mandates from the TSA and USDOT. 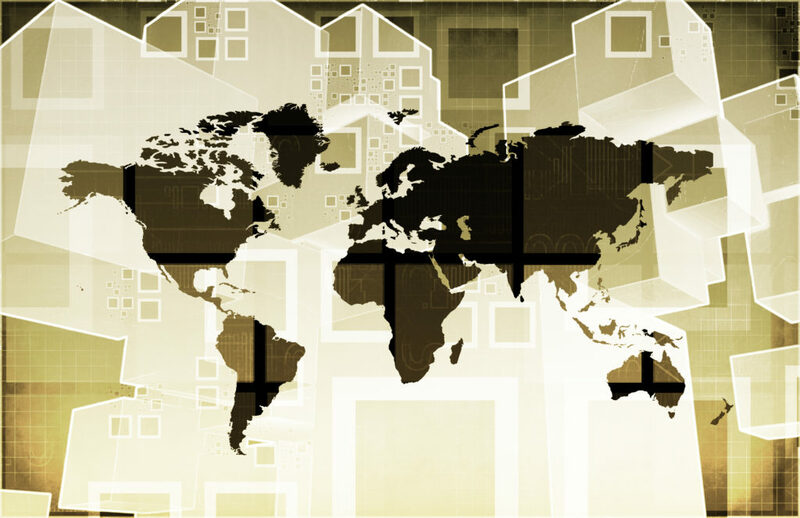 By using their import and export services, your goods will always be in global compliance. In return, you avoid costly penalties and shipment delays. Let 2019 be the year your business really thrives! All it takes is some strategic planning and you will be on your way to seeing better results and higher numbers. To learn more about the import and export services, contact Cordova Brokerage. Our team has assisted numerous El Paso businesses and we have the experience and certifications necessary to help you. 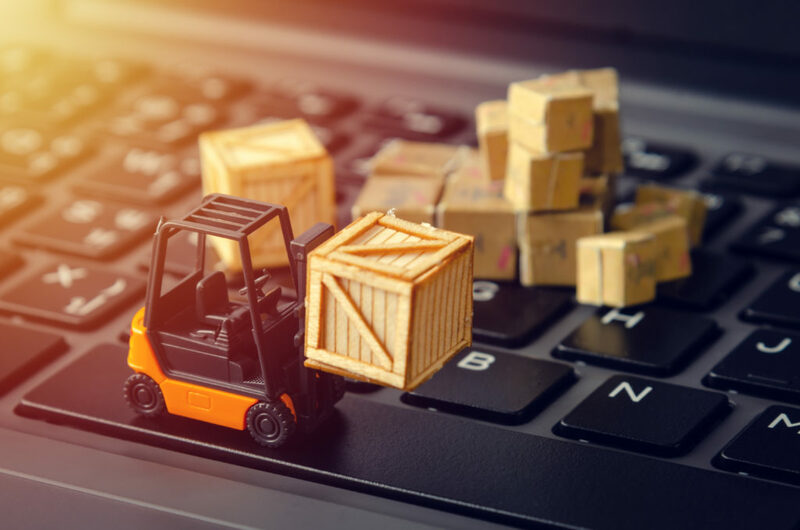 There is a key difference between cross docking services and warehousing and shipping that many business owners fail to understand, which can lead to confusion when it comes to seeking out these services. 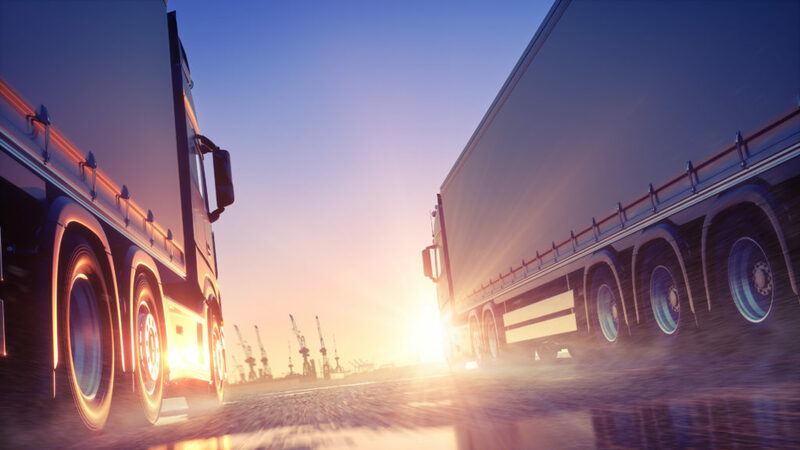 To help bring awareness to these differences, we’re going to focus on the logistics involved in cross docking and how you may need these services in connection to warehousing and shipping. To begin, warehousing services provide you with a place to store your products until they are ready to be shipped to customers or their final destination. Before those goods get to the warehouse, they are transported to the warehouse thorough cross docking services. Cross docking can be broken down into two processes: pre-distribution and post-distribution. In the phase of pre-distribution, good are first unloaded, sorted, then organized so they are prepared for distribution. Before the materials leave, it’s important that all of the items are identified and instructions have been given so that once they are transferred, the process will go smoothly. In the post-distribution phase, the materials leave the docking facility and are delivered to the customer. Once they arrive at the warehouse, they are placed in the warehouse until the customer is prepared to transfer them into their store or other types of final destinations. Who Benefits From Cross Docking? Manufacturing and other companies who need to transfer their goods from a warehouse to another location such as a distributor can benefit from our cross docking services. Cross docking services can serve a variety of product needs — from packaged goods to larger items. Other benefits of cross docking services include saving time and having the confidence that an experienced company will safely transfer your valuables to their destination without risking the possibility of loss. This gives you a competitive edge. One of the riskiest aspects of business is a delay in shipment or a loss in product. All too often companies have to learn from beginner mistakes. Even companies who have been in business for years may experience an issue. Whether you’re a new business or one with years of experience, allow Cordova Brokerage to help you avoid mistakes and costly delays. At Cordova Brokerage, we provide distributor, manufacturing, opportunistic, and transportation cross docking services. We’ll help ensure that your inventory doesn’t experience a delay or loss. If you are in need of cross docking services, please contact us today. For import and export companies, handling the day-to-day needs of transporting goods can be a full time job. International laws for shipping and transporting seem to change daily too. All this can make it very hard to stay on top of deliveries and shipments. Which in turn can affect your company’s bottom line. Hiring a broker to do handle these matters for your business can be the best choice for your company. Cordova Brokerage International Inc. understands local El Paso workings and can help any import and export companies with their unique border experience. Getting experienced brokers is the easiest way for import and export companies to thrive in the global market. Keeping up with transportation laws can be very hard and time consuming. This is where your broker can step in. They train to accurately classify goods and then determine what the taxes and fees might be. As a result, your company’s costs and profits will be clear and organized each month. When your broker knows what they are doing, it can only benefit you. Import and export companies who also outsource warehouse services can increase their product outflow. Now you not only have a broker who can oversee your international transport, but they can now help you store and maintain your goods. This will make shipping your goods much easier as they will all go through the same person. Having one person oversee your goods makes delivering these goods easier and often faster too. Import and export companies who use a broker service will greatly reduce their costs. Instead of having to hire, train and maintain workers to ship and store our goods, you can have another company handle it. This will mean less payroll and more time to gain shipping contracts. It is a win-win as you can increase business and reduce your costs at the same time. Lastly import and export companies who outsource have an easier time competing in a very competitive market. When it comes to the moving of goods all around the world, there is not a prize for second best. An experienced broker will find any time you can cut, making your shipments faster and more reliable. This is will ultimately give your company the edge it needs to succeed. Cordova Brokerage International Inc. is a great choice for import and export companies looking to base themselves in El Paso. We can help you gain the edge you need to take your company to the next level. Call us today for an appointment. As a business owner, you are probably constantly looking for opportunities to save on your budget and increase profit. This is one of the many ways to make your business thrive. This can become a bit more complex if you are conducting import and export processes across the borders. Utilizing warehouses services is just one way to maximize your business. Outsourcing to experts may at first glance look like an expensive choice. But at the end of the day, trusting industry experts with your needs can be less expensive than maintaining a staff. Not only that, you can put difficult, labor-intensive tasks in the hands of experts which will in turn free you up to focus on other vital areas of your business. Utilizing a company to take care of your warehouse needs can be a big benefit for several reasons. First of all, many companies rent a warehouse building and employ a staff, but only use a small portion of the floor space. They end up paying too much for the facility, management, and the staff. Secondly, many export and importers don’t need a facility all year around. There are busy seasons and slow seasons that leave a warehouse empty for several months. Hiring a temporary staff over and over can become difficult. When you utilize a warehouse service you don’t have to pay full rent and wages. Your goods will be managed by a team of experts. On top of that, there will be an optimal security measure in place to safeguard your merchandise or goods. 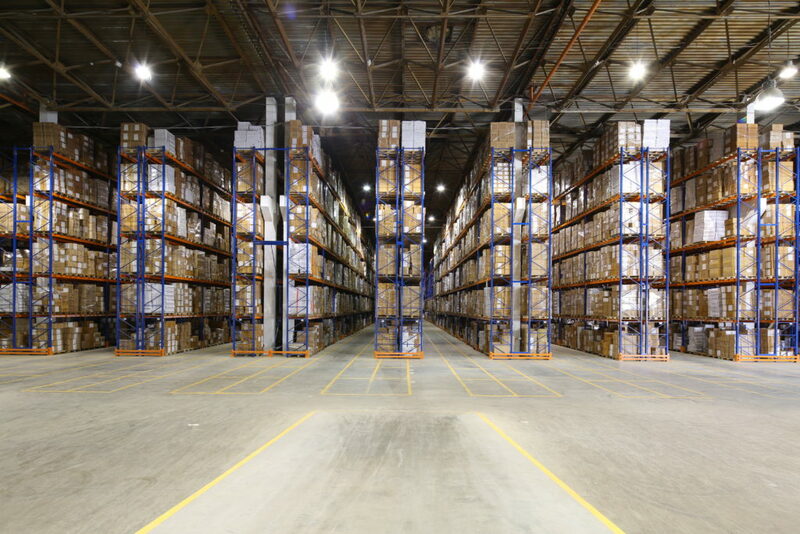 Warehousing services in El Paso may only be the beginning of your business’ needs. You may also require help with customs, a customs warehouse service, cross docking, freight forwarding, and more. 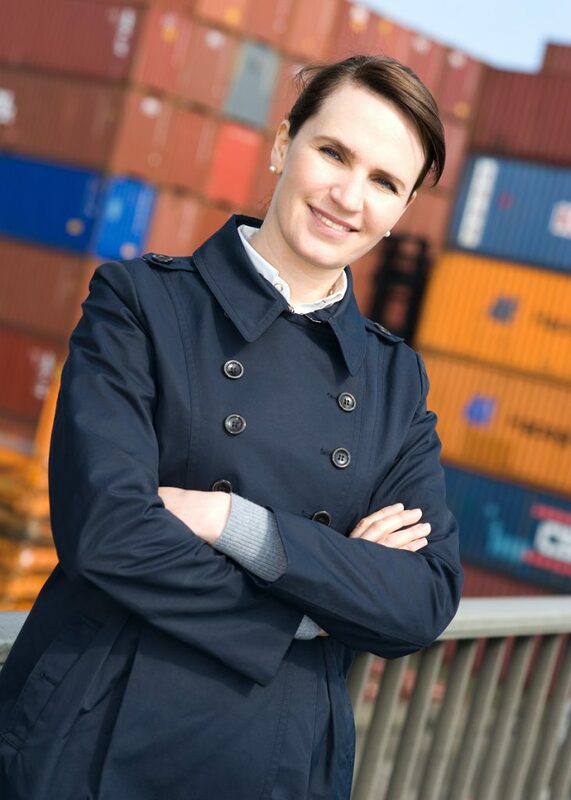 Entrusting these services to a qualified customs broker is the way to go. First of all, trusting a training expert is much better than trying to save a dime and do it yourself. You will end up spending immense amounts of time learning to do the things the experts spend their entire day doing and are masters at. You also won’t need to hire several employees to do the work that one expert can accomplish. If you are interested in outsourcing warehouse services as well as other services your business may need, be sure to give us a call at Cordova Brokerage, International, Inc.. We offer customized help. Contact us today for more info. Any company that wants to expand their business, needs to consider cross docking services. This type of service is designed to help take your business to the next level. Cordova Brokerage International has years of experience with cross docking. We can help you through the process of adjustment for your company to use this service, and help manage the service for you too. We have worked with El Paso business before, which means we have knowledge of borderland needs. Using cross docking services is a way to help your business save time and money. What this service does primarily is reduce, or eliminate completely, the need for a warehouse. This means that you will no longer have to pay for storage of your goods. It also means you will not be paying for the labor needed to move and store, find and ship out your product either. Besides that, it will reduce the time it takes for your product to reach your customer’s hands. Faster delivery often results in more business. The benefits of cross docking services can also allow a company to branch out to different types of products. For example, shipping perishable food is easier with this method. Picking a quality company to handle cross docking services is one way to ensure that the product is handled properly. Having a broker handle your cross docking services is important to the smooth running of your business. A broker’s main job is to secure, maintain and ensure that your product is handled correctly and shipped swiftly. This means that they will be the one handling all the main concerns, complaints and day to day dramas of transporting your goods. Imagine how much more relaxed you will be without having to stress over every package going out? Or trying to figure out when the next shipment of raw materials is coming in? But there is also so much more that they can do for you too. They can help negotiate better deals on shipping, and help you expand shipping routes too. Having a quality broker manage your product will help relieve your stress and expand your business. Your business deserves the best, so turn to Cordova Brokerage International Inc. We have helped businesses in El Paso achieve their goals, and can help you too! Contact us today to set up an appointment. When you turn to a brokerage company to take care of your warehouse services you will be sure to benefit from several advantages. Not only will you save time and energy, but you can be sure to get better security as well as other benefits. Outsourcing your warehouse services simply offers a wealth of benefits. You can be sure to get customized help when you turn to Cordova Brokerage International, Inc..
Of course, every business owner is eager to save time and money. Finding effective ways to save only adds to the bottom line. When it comes to outsourcing warehouse services, this is a great place to start. First of all, outsourcing means you don’t have to manage your own warehouse. This also means that you don’t have to pay for dedicated warehouse staff. Not only that, there is no need to pay monthly rent. This is especially true for companies that require warehousing, but have small inventory. While you still have to pay to outsource, the cost is simply much more effective. Outsourcing to a brokerage with warehousing services also guarantees that you will have excellent security services. You can count on your brokerage to have such security measures that can include video recording, on staff security guards and quality inventory services. Aside from having these benefits, you won’t have to pay for them with your own budget. Turning to a brokerage for warehouse services also means that you will be relying on an expert broker for needs as well as a staff that is well-equipped and knowledgeable. Often times, when you need these services, you probably also need other services that can include assistance with customs, importing and exporting help, cross-docking and more. All of this can be available to you at one convenient location when you choose the right brokerage. If you are looking for reliable service for your warehousing needs, contact Cordova Brokerage International, Inc.. We offer a wealth of excellent services. Our staff is always ready to help you with all of your international trade needs. Whether you have a large or small inventory or warehouse services and help, contact us today for more info. One of our friendly staff members will be happy to answer your questions and get you started with a consultation.